The index Knight Frank Prime Global Cities Index Q3 2018, which tracks prime residential prices across 43 global cities worldwide, increased by 2.7% in the year to September 2018, its weakest performance in annual terms for almost six years. 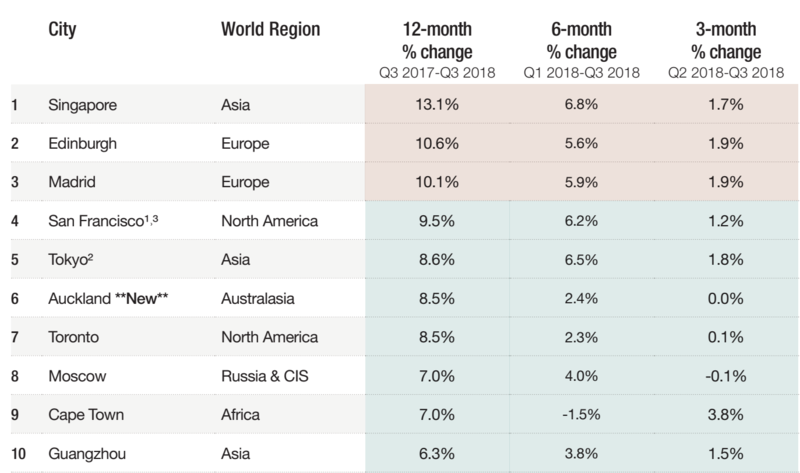 Nicholas Holt, Asia-Pacific Head of Research, Knight Frank, says, “Prime residential markets continued to slow in Asia-Pacific in Q3 2018, with 13 of 17 regional markets seeing growth decelerate on the previous quarter. Rising interest rates, cooling measures and worsening prospects for global growth are all contributing factors to this region’s prime market slowdown. The report enables investors and developers to compare the performance of prime residential prices across key global cities. Prime property corresponds to the top 5% of the housing market in each city. Click here to download the Knight Frank Prime Global Cities Index Q3 2018 Report. For more information about the report or the global prime city market contact Kate Everett-Allen, Partner, International Residential Research, Knight Frank via the contact details below. Malaysia Budget 2019, a boon to first-time homebuyers and the affordable housing market?